The answer is C: Take him to your vet right away. These can be signs of pancreatitis. While it’s fine to wait to see if a dog improves on his own after a single vomiting episode with no other signs of illness, repeated vomiting can quickly lead to dangerous dehydration and electrolyte imbalance, especially if your dog isn’t drinking or can’t keep water down. When signs of abdominal pain accompany vomiting, pancreatitis is high on the list of possible causes. The worst thing you can do is feed your dog fatty food at this time. Noot Lizzy: ik weet niet hoe je Engels is? Maar het komt er op neer: het ergste wat je kunt doen is je hond vette voeding te geven. Pancreatitis literally means inflammation of the pancreas, the glandular organ that secretes enzymes needed to digest food. When something causes these enzymes to be activated prematurely, they can actually begin to digest the pancreas itself, resulting in pain and inflammation. Pancreatitis occurs in two different forms, acute and chronic, and both may be either mild or severe. Acute pancreatitis occurs suddenly and is more often severe, while chronic pancreatitis refers to an ongoing inflammation that is usually less severe and may even be subclinical (no recognizable symptoms). Acute pancreatitis can be extremely painful, and can become life-threatening if the inflammation spreads, affecting multiple organs and systems. Symptoms commonly include anorexia (loss of appetite), vomiting, weakness, depression, and abdominal pain. Abdominal pain in a dog may be exhibited as restlessness or not wanting to move; a hunched appearance or a “praying position,” with the chest down and the rear raised; or vocalization (crying or whimpering). Additional symptoms may include diarrhea, drooling, fever, and collapse. For mild cases, all that may be needed is to withhold food and water for 24 to 48 hours (no longer), along with administering IV fluids to prevent dehydration and drugs to stop vomiting and control pain. For moderate to severe cases, hospitalization and intensive treatment and monitoring is required. Supportive treatment includes intravenous fluids to keep the dog hydrated and restore electrolyte and acid-base balance. Potent pain medication is needed, such as injectable buprenorphine or other narcotic pain relievers. Treatment is generally required for three to five days, and sometimes longer. Surgery may be necessary, particularly if the pancreas is abscessed or the pancreatic duct is blocked. Alternatively, dolasetron (Anzemet) and ondansetron (Zofran) – antiemetics developed to combat vomiting that has been induced by chemotherapy – may be used. Cerenia (maropitant) is a new antiemetic drug approved for dogs that some vets are starting to use, though it has a limited track record. Metoclopramide (Reglan), a commonly used antiemetic, may be contraindicated in pancreatitis due to concern that it may decrease blood flow to the pancreas (antidopaminergic effect), though this has not been substantiated. Antibiotics to control infections secondary to pancreatitis may be used, though this complication is not thought to be common in dogs. A plasma transfusion is sometimes given in moderate to severe cases in the hopes that it will inhibit active pancreatic enzymes and systemic inflammatory response; it also provides clotting factors that can help prevent and treat disseminated intravascular coagulation (DIC), an often lethal potential side effect of pancreatitis. Antacids have not been shown to have any beneficial effect in the treatment of pancreatitis, though they may be given when vomiting is persistent or severe. Non-steroidal anti-inflammatory drugs (NSAIDs) are not effective and should be avoided due to concerns for gastric ulceration and kidney and liver damage. There are no studies yet to support the use of corticosteroids for treating pancreatitis in dogs. Today, though, there is growing evidence in both humans and animals that recovery time is reduced and survival rates increased when patients are fed early in the recovery from pancreatitis. It is now accepted that prolonged withholding of oral food and water for more than 48 hours (including the time before the dog was brought in for treatment) can lead to increased intestinal permeability (“leaky gut”), atrophy of the digestive cells in the small intestine, and sepsis (blood poisoning). In turn, sepsis can contribute to multiple organ failure and decreased survival rates. The ideal composition of this diet has not yet been determined. It is possible that the addition of omega-3 fatty acids, pancreatic enzymes, medium-chain triglycerides, and the amino acid l-glutamine to the liquid nutrition may also help with recovery, though this must be done with caution. Probiotics, however, are not recommended; a recent human study showed an increased death rate for patients with severe acute pancreatitis when probiotics were administered, possibly due to reduced blood flow to the small intestine. Noot Lizzy: Dit gaat vooral over de periode dat je hond heel ziek is en net gediagnostiseerd is. Er staat ook dat het ideale dieet bij een alvleesklierontsteking nog niet uitgevonden is. Supplementen die goed kunnen werken : omega 3 vetzuur (visolie), pancreas enzymen, triglycerides en het aminozuur L-Glutamine. Probiotica is een dikke vette NO NO!! Chronic pancreatitis refers to a continuing, smoldering, low-grade inflammation of the pancreas. Symptoms such as vomiting and discomfort after eating may occur intermittently, sometimes accompanied by depression, loss of appetite, and weight loss. In some cases, signs may be as subtle and nonspecific as a dog not wanting to play normally, being a picky eater, or skipping a meal from time to time. Chronic pancreatitis may periodically flare up, resulting in acute pancreatitis. Pancreatic functions In addition to digestive enzymes (exocrine function), the pancreas also produces insulin (endocrine function). Dogs who are diabetic may have an increased risk for pancreatitis. Conversely, a dog whose pancreas is damaged due to pancreatitis may develop diabetes, which can be either temporary or permanent; 30 percent of diabetes in dogs may be due to damage from chronic pancreatitis. Exocrine pancreatic insufficiency (EPI), when the pancreas is no longer able to produce digestive enzymes, can also result from chronic pancreatitis, leading to weight loss despite consuming large amounts of food. When the pancreas is damaged, diabetes is likely to show up several months before EPI. Pancreatitis is often blamed on high-fat diets, though there is little scientific evidence to support this. Active, working dogs, such as sled dogs, can eat as much as 60 percent fat in their diets without developing pancreatitis, but too much fat may cause trouble for middle-aged, overweight, relatively inactive dogs, who are the ones most commonly affected by pancreatitis. Too much fat can also cause problems for some dogs with chronic pancreatitis. Dietary indiscretion, such as eating rancid fatty scraps from the garbage, can also lead to pancreatitis, particularly when a dog accustomed to a low- or normal-fat diet ingests high-fat foods. That’s why pancreatitis incidents are thought to increase after Thanksgiving, when people may feed their dogs a meal of turkey skin and drippings. Low-protein diets have also been shown to predispose dogs to pancreatitis, especially when combined with high fat intake. Some prescription diets may be a concern, such as those prescribed to dissolve struvite bladder stones; to prevent calcium oxalate, urate, or cystine stones; and to treat kidney disease; especially for breeds prone to pancreatitis. Several medications have been associated with pancreatitis, most recently the combination of potassium bromide and phenobarbital used to control epilepsy. This combination has a much higher risk of causing pancreatitis than phenobarbital alone (no studies have been done on the use of potassium bromide by itself). Corticosteroids, such as prednisone, are especially controversial: while veterinarians have long considered them to be the most common drug to cause pancreatitis, recent human studies have discounted this link. Based on anecdotal evidence, however, I believe the association does exist in dogs. I personally know dogs who developed pancreatitis within days of being given corticosteroids. Toxins, particularly organophosphates (insecticides used in some flea control products), as well as scorpion stings and toxic levels of zinc, may also lead to pancreatitis. Certain conditions may predispose a dog to pancreatitis. These include diabetes mellitus (though it is not clear whether pancreatitis precedes diabetes); acute hypercalcemia (high levels of calcium in the blood, usually from a calcium infusion or poisoning rather than diet or supplements); hyperlipidemia (high fat content in the blood, again usually due to metabolic disorder rather than diet); hypothyroidism; and Cushing’s disease (hyperadrenocorticism). Pancreatitis has been associated with immune-mediated diseases, which may include IBD, though the cause-and-effect relationship is not understood. While there is no scientific evidence to support this, some doctors have suggested that food allergies could be a rare cause of recurrent or chronic pancreatitis. I think IBD could possibly be both a cause and an effect of pancreatitis, or that both could be caused by an underlying autoimmune disease or food allergy. Trauma to the pancreas, such as a result of the dog being hit by a car, can lead to inflammation and pancreatitis. Surgery has also been linked to pancreatitis, probably due to low blood pressure or low blood volume caused by anesthesia. Gallstones (choleliths) can block the bile duct, and thus the flow of digestive enzymes from the pancreas and can lead to pancreatitis in people; it is likely that the same would be true for both species (pancreatitis can also block the flow of bile from the gall bladder). Other theoretical causes include bacterial or viral infections; vaccinations; obstruction of the pancreatic duct; reflux of intestinal contents up the pancreatic duct; impaired blood supply to the pancreas due to shock, gastric-dilatation volvulus (bloat), or other causes; and hereditary factors. In rare cases, pancreatitis can be caused by a tumor in the pancreas. In most cases with dogs, the cause is never found. In people, pancreatitis is most commonly caused by alcohol abuse. Some blood test results are suggestive of pancreatitis, but not definitive. Substantially elevated (three to five times the normal level) lipase and amylase, in particular, are strongly supportive of a diagnosis of pancreatitis, but the absence of these signs does not rule it out; lipase and amylase may be normal in as many as half of all dogs with pancreatitis. With chronic pancreatitis, blood tests are often completely normal, and may be so with acute pancreatitis as well, particularly if it is not severe enough to cause complications. In 2005, IDEXX Reference Laboratories developed a blood test called Spec cPL (canine pancreas-specific lipase), based on the cPLI (canine pancreatic lipase immunoreactivity) test developed at Texas A&M University. There are three types of lipase: pancreatic, hepatic, and gastric. Standard blood tests cannot differentiate between them, but the Spec cPL measures only pancreatic lipase. Spec cPL is now considered the best choice for quick and accurate diagnosis, with results available in 12 to 24 hours. The cPLI test is equally accurate, but not as readily available and the results take longer. IDEXX claims that the Spec cPL test has a sensitivity greater than 95 percent, meaning almost every dog with pancreatitis will test positive (fewer than 5 percent false negatives), and a specificity also greater than 95 percent, meaning fewer than 5 percent of dogs who don’t have pancreatitis will have a false positive result. In comparison, the cPLI test has 82 percent sensitivity and 98 percent specificity. The Spec cPL test can be repeated every two or three days to help judge response to therapy, and after returning home, to confirm recovery. It can also be used to monitor response to changes in diet and other treatment for dogs with chronic pancreatitis. An experienced ultrasound practitioner can detect two-thirds of acute pancreatitis cases. Ultrasound may also be used to look for signs of peritonitis, pancreatic abscess or cyst, and biliary obstruction. Neither x-rays nor ultrasound can identify chronic pancreatitis. Biopsy of the pancreas can be used to identify pancreatic cancer. Biopsy may be an unreliable method of diagnosing pancreatitis, as often only part of the pancreas is affected. Some breeds are at increased risk of developing ancreatitis. Miniature Schnauzers are prone to yperlipidemia, which in turn can be a cause of pancreatitis. Whether in the hospital or at home, once vomiting is under control, water is slowly introduced, with a few laps or ice cubes every hour or so. If the dog keeps this down, liquids are tried next, followed by soupy, low-fat, high-carbohydrate foods. Frequent small amounts are less likely to cause problems than larger quantities, particularly in the beginning. Dogs who have been hospitalized can return home once they are able to keep food down without vomiting. Noot Lizzy: Ik denk dat jij in deze categorie valt. Jouw hond is herstellende, als ik het zo lees, van een acute pancreas ontsteking. Je hond heeft dus een voedsel nodig dat laag in vet en hoog in koolhydraten is. Je moet meerdere kleine porties per dag geven. Hieronder staat dat ze meestal pijnmedicatie nodig hebben (en Tramadol is hier goed verkrijgbaar en een van de pijnstillers die gegeven wordt). Dogs recovering from acute pancreatitis are frequently maintained on an easily digestible, fat-restricted prescription diet, particularly if they are overweight or have hyperlipidemia. While I am not a fan of these products due to their low-quality ingredients, I think that sometimes it is easier to follow your vet’s advice, as long as your dog is willing to eat this food and does not react adversely to it. You can later transition your dog back to a better quality commercial or homemade diet. Noot Lizzy: hier staat dat het nog niet zo verkeerd is om het advies van je DA op te volgen. En in dit geval he? Lijkt me dat niet zo'n gek idee. Want hier krijg je, zoals je ziet, ook tegenstrijdige adviezen. De een zegt "geen koolhydraat" en ik zeg (gebaseerd op wat je in dit artikel van Mary Straus leest) "wel koolhydraat". 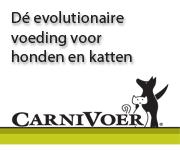 En het gaat je dus niet helpen, zulke 180 graden tegenovergestelde adviezen..... . Dus volg je advies van je dierenarts. 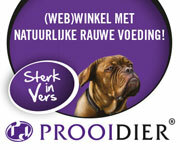 Of volg het advies op van Straus. Dat is het beste advies dat ik je kan geven. But what if your dog won’t eat the prescription food, or reacts poorly to the food, or you just can’t bring yourself to feed a commercial food after feeding a homemade diet for so long? What should you feed your dog in that case? The goal in the beginning is to feed a diet with low fat, moderate protein, and high carbohydrates, as carbs cause the least amount of pancreatic stimulation. An easy diet to start with is overcooked white rice made with extra water, combined with a low-fat protein source, such as cooked chicken breast, low-fat cottage cheese, or boiled hamburger (boiling removes most of the fat). Noot Lizzy: Hier staat: en als je dan persee zelfgemaakt voer wil geven: begin met een voer dat laag in vet is, gemiddeld in eiwit en hoog in koolhydraat, aangezien koolhydraat de pancreas niet stimuleert. Gekookte witte rijst (dat je langer kookt dan normaal) is een prima begin. Daar geef je dan bij wat gekookte kipfilet, huttekase, gekookte hamburger (koken verwijderd het meeste vet - dat schep je er ook vanaf). Kortom, het advies van je DA maar dan in plaats van die brokjes, wat vet-arm vlees, gekookt. Even if you normally feed a raw diet, the meat should be cooked for now, to remove fat and to destroy bacteria that can be problematic if the intestines have been damaged. Cooking or warming food usually makes it more appealing as well. Bones should not be fed at this time. Offer food at room or body temperature, as cold food takes longer to digest. Noot Lizzy:Hier staat: ook als je normaal gesproken een rauw voer voert, het vlees moet vanaf nu gekookt worden om het vet te verwijderen en om alle bacterieen te doden die eventueel voor problemen kunnen zorgen. Gekookte voeding is voor de hond ook aantrekkelijk om te eten en aangezien ze toch al vaak zo rot eten, is koken dus hier een prima idee. Vleesbot voer je nu niet. Geef het voer op kamer of lichaamstemperatuur, niet koud, dat verteerd slecht. If possible, choose foods your dog has had before – ones you know agree with him and that he likes. White rice is the preferred carbohydrate choice, as it is easiest to digest, but you could use potatoes or sweet potatoes instead if you need to avoid rice due to allergies or intolerance (remove the skins to reduce fiber in the beginning). Noot Lizzy: Hier staat dat je het beste witte rijst geeft, maar dat je ook aardappel of zoete aardappel kunt geven als je hond allergisch is voor rijst. Je moet de aardappels/zoete aardappels schillen, want in het begin moet je niet teveel vezel geven. Overcooking starchy foods such as rice or potatoes increases their digestibility. Cooking white rice with extra water creates a type of porridge called rice congee, which is soothing to the stomach and digestive tract, and can help relieve vomiting and diarrhea. To make congee, boil one cup of white rice (not Minute Rice) in four cups of water for 20 to 30 minutes. You can offer the rice congee liquid alone to start with, then include the rice, and next add the protein. This progression can happen over the course of a few hours or a day or two. Noot Lizzy: je kookt het in eerste instantie dus langer dan normaal, dat verbeterd de verteerbaarheid. Je voegt ook extra water toe, dan krijg je een beetje een dik papje. At first, feed a higher percentage of carbohydrates, and a lower percentage of protein, such as two-thirds carbs and one-third protein. If your dog is doing fine, the ratio can then be slowly changed to half and half after the first few days. Noot Lizzy: Hier staat dus dat je eerst 2/3 koolhydraat geeft, 1/3 eiwit. Als je hond het hier goed op doet, verander je dat naar 50% koolhydraat en 50% eiwit (nog steeds rijst en gekookte kip/hamburger/zeer mager rundvlees). Whatever you feed, start with small amounts fed frequently, six to eight meals a day or more. Small meals stimulate the pancreas less, and are less likely to trigger vomiting. Small meals are also easier to digest than larger meals, and less likely to cause discomfort. If your dog is able to keep the food down without vomiting or showing signs of pain, you can begin to feed larger amounts at longer intervals, but proceed slowly, especially in the beginning; you don’t want to make changes too quickly and end up with a setback. Noot Lizzy:Hier staat: wat je ook voert, voer 6 tot 8 maaltijden per dag of meer. Kleine maaltijden stimuleert de pancreas minder en zorgt ook dat je hond minder snel overgeeft. Het is ook makkelijker verteerbaar, een kleine maaltijd. Als je hond dit voer binnen houdt en hij weinig pijn toont, kun je wat langere periodes tussen de maaltijden laten zitten maar doet dat langzaam! Als je te snel gaat, valt je hond mogelijk terug. Contact your vet for advice if your dog vomits. You will probably need to stop feeding again briefly (12 to 24 hours), then start over by introducing water and progressing to bland foods again. Your dog may also need anti-vomiting medication. It is not necessary for your dog’s diet to be “complete and balanced” in the short term; an adult dog will do fine on an incomplete diet for a few days to a few weeks. Start with a very simple diet, and then add more ingredients as your dog recovers and you see he is doing well. Noot Lizzy: Het geeft niks dat je niet compleet voert, je hond kan daar prima tegen voor een paar weken. Houd je dieet simpel. Het is beter om, als het beter gaat met je hond, langzaam dingen toe te voegen en te kijken hoe ie het daar op doet. Broth can be used to make rice and to add to foods to improve flavor and encourage your dog to drink more. Many store-bought broths are high in sodium, however; even some “reduced sodium” varieties have hundreds of mg per serving. Look for broths with less than 100 mg sodium per serving. You can make your own nonfat, no-sodium broth if you prefer. You can also use the water that you boil chicken or other foods in for flavor and nutritional value, since boiling removes some nutrients that are then left in the water. Just be sure to remove the fat before feeding. L-glutamine is an amino acid that can help the intestinal mucosa to recover from the effects of going without food. A typical dose is 500 mg per 25 lbs of body weight daily, but 10 times that much can be used to supply nutrition when necessary. L-glutamine is available both as a powder and in capsules. The powder can be dissolved in water or mixed in food. Glutamine is unstable at room temperature for extended periods, so any uneaten portion should be removed after 15 minutes. L-glutamine can be found at supplement shops online and at health food stores. Noot Lizzy: hier staat dat L-Glutamine een zeer goed supplement is om de darmwand te herstellen. Dit kun je dus aan je hond geven. Het geven van probiotica is overigens zeer gevaarlijk in het geval van alvleesklierontstekingen!! The herbs slippery elm and marshmallow can help to soothe a throat and stomach that have been irritated by vomiting. One product that contains both is Phytomucil from Animals’ Apawthecary. You can also make your own by steeping 1 teaspoon of either or both dried herbs in 8 ounces of very hot water. Optionally, add a teaspoon of honey for flavor. Give from 1 teaspoon to 4 tablespoons, depending on the size of the dog, every four hours. Once a dog has had an attack of acute pancreatitis, he may be less able to tolerate fat in the future, depending on how much the pancreas was damaged. Some dogs are able to return to a normal diet after they have fully recovered, while others may need a low-fat diet for the rest of their lives to prevent chronic pancreatitis and further acute episodes. Noot Lizzy: Hier staat dat na een acute alvleesklierontsteking de meeste honden de rest van hun leven minder goed tegen vet kunnen. Het is afhankelijk van hoe ernstig de alvleesklier beschadigd is. Sommige kunnen volledig terug op hun oude menu. Anderen moeten de rest van hun leven op een voedsel blijven dat laag is in vet gehalte. Honden die wederom een alvleesklierontsteking ontwikkelen, moeten op een vet arm dieet blijven. Dogs who experience a single, acute, uncomplicated episode are more likely to be able to return to a normal diet, while dogs with repeated episodes of acute pancreatitis, hyperlipidemia, or steatorrhea (large, greasy, foul-smelling stools caused by fat malabsorption) should be kept on a fat-restricted diet. Dogs with chronic pancreatitis may also do better on a lower-fat diet. Drugs that predispose dogs to pancreatitis should be avoided if possible in these dogs. If such drugs are needed, e.g., to control seizures, these dogs, too, may benefit from a low-fat diet. Dogs who have had acute pancreatitis should never be fed really high-fat meals, even if they are able to return to a normal diet afterwards. Continue to feed a low-fat diet with moderate protein for at least 7 to 10 days or longer, depending on the speed of your dog’s recovery and the severity of the episode. Gradually increase the size of each meal and the time between meals until your dog is eating two or three meals a day. Noot Lizzy: Hier staat dat je tenminste 7 tot 10 dagen een dieet moet voeren dat laag is in vet en gemiddeld in eiwit. Daarna kun je heel langzaam minder maaltijden per dag gaan voeren, tot je er weer 2 of 3 per dag geeft. If your dog is doing well and showing no sign of discomfort after eating, you can then begin to gradually increase the amount of fat in the diet. Begin adding small amounts of his regular food back into his diet. If the diet he was eating before was high in fat, try feeding foods with a moderate amount of fat to start with, though you may eventually be able to transition back to somewhat higher-fat foods if your dog gets a lot of exercise, is lean rather than overweight, and you have reason to believe that something other than diet caused the acute pancreatitis. Noot Lizzy: Hier staat dat als je hond het goed doet en hij geen pijn heeft of zich naar voelt na het eten, dat je dan heel langzaam weer wat meer vet kunt gaan voeren. Begin met een klein beetje voedsel te geven dat hij normaal ook at. En schakel zo langzaam over op je oude dieet. Zorg dat je hond eventueel overgewicht kwijt raakt. Remember that lower-fat diets provide fewer calories, so the total amount you feed will need to be increased when you reduce the amount of fat in the diet. The increase will depend on how much fat was in your dog’s previous diet. If possible, determine how many calories your dog was getting before and try to match that with the new diet (or moderately decrease the calories, if your dog is overweight). Weigh your dog frequently and then adjust the amount you are feeding up or down as needed to maintain proper weight. If your dog lost weight due to acute pancreatitis, don’t try to put the pounds back on too quickly; slow and gradual weight gain or loss is healthier than trying to make large changes in a short period of time. Noot Lizzy: Hier staat dat je in de gaten moet houden dat een vet-arm dieet minder calorieen bevat. 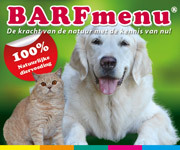 Je moet dus meer gaan voeren van, wanneer je hond vet-arm eet/moet blijven eten. Keep a close eye on your dog, particularly after meals, watching for signs of discomfort such as a hunched appearance, whining, panting, restlessness, or not wanting to move around. If you see any of these signs, return to a lower-fat diet and smaller, more frequent meals, and wait longer before trying again to increase the amount of fat even more slowly, using different foods. If the signs of discomfort return, you may need to keep your dog on the lower-fat diet indefinitely. Also watch for signs of digestive upset, such as burping or flatulence (gas), borborygmus (stomach gurgling), lip licking, or heavy swallowing. These are not signs of pancreatitis, but could indicate that the diet you’re feeding does not agree with your dog. Try feeding a different brand of food, using different ingredients, a grain-free diet, or one with a different protein source, adding digestive enzymes, or feeding smaller, more frequent meals, to see if that helps. These symptoms can also be signs of EPI, especially if accompanied by increased appetite, weight loss, and large “cow-patty” stools. EPI is treated with prescription-strength digestive enzymes such as Viokase, Pancrezyme, or generic equivalents. Raw pancreas can also be used, or human pancreatin supplements, which consist of freeze-dried pork pancreas. With pancreatin supplements, strengths such as 4x or 10x indicate that the product is concentrated and the dosage is equivalent to 4 or 10 times as much as is shown on the label. Each mg of pancreatin contains 25 USP units of protease and amylase, and 2 USP units of lipase. Dogs with EPI may also require cobalamin (vitamin B12) injections, and often a low-fat diet as well. Noot Lizzy: Hier staat dat honden met overgewicht vaker problemen hebben met alvleesklierontstekingen. Als dat het geval is: meer bewegen en gewicht verliezen. Underlying metabolic disease such as hypothyroidism, hyperadrenocorticism (Cushing’s disease), and diabetes mellitus may be associated with increased risk of pancreatitis and should be managed appropriately. Hypothyroidism can contribute to obesity and may affect fat metabolism. Not all dogs who are hypothyroid have the classic signs, such as dry skin and hair loss. A full thyroid panel is more accurate than a simple screening test. Even dogs whose results are in the low normal range may benefit from thyroid supplementation. Noted thyroid specialist Dr. Jean Dodds at Hemopet will consult with you or your vet regarding test results for a small fee. Noot Lizzy: Hier staat dat de alvleesklierontsteking het gevolg kan zijn van een ander probleem, namelijk met de schildklier of Cushing disease en diabetes mellitus. If your dog is prone to hyperlipidemia (increased blood levels of cholesterol or triglycerides, even when fasted for 12 hours before the test), there are several things you can do to try to lower these levels and reduce the likelihood of pancreatitis. Feeding a low-fat diet, giving fish oil supplements, and treating hypothyroidism, which is often the underlying cause, are all helpful in reducing lipid levels in the blood. In addition, dogs prone to hyperlipidemia may benefit from the use of human statin medications, such as Lipitor, to control lipid levels. Though no studies have yet been done, anecdotal reports from vets who have tried this on an experimental basis have been positive. Whether or not too much fat was the initial cause of your dog’s pancreatitis, high-fat foods may trigger a recurrence, particularly if the pancreas was damaged. Be sure that your dog does not have access to your trash bin (use locking lids or an alarm if needed), and don’t feed high-fat foods or treats such as pig ears. Make sure that your dog does not get fatty treats from other family members, friends, or neighbors. Don’t try to tempt your dog with high-fat foods and additives if he doesn’t want to eat; this may be good advice even for dogs who have not had pancreatitis, unless you’re certain that the inappetence is not caused by pancreatitis nor a condition that would predispose a dog to it. Dogs fed a very low-fat diet may become deficient in the fat-soluble vitamins A and E. Adding fish oil and coconut oil to the diet can help with this. Dogs with damage to the pancreas may also suffer from vitamin B12 (cobalamin) deficiency – in this case, monthly injections may be needed if the dog is unable to absorb B12 when given orally. Chronic pancreatitis may interfere with absorption of vitamin?B, so supplementing with B-complex vitamins makes sense. Next month, we will discuss commercial and homemade diets for dogs with chronic pancreatitis, EPI, and other conditions that may require a low-fat diet to be fed long-term. You will learn what defines a low-fat diet, and how to calculate the amount of fat in any food or combination of foods, whether kibble, canned, dehydrated, frozen, or fresh. The following month, we will present actual low-fat diets that people are feeding to their dogs. For a list of scientific references for the material in this article, send a request to Mary Straus at WDJ@dogaware.com. Mary Straus researches canine health and nutrition topics as an avocation. She is the owner of the DogAware.com website. She lives in the San Francisco Bay Area with her 16½-year-old dog, Piglet. Wat super om te lezen Lizzy! één van onze honden had een insulinoom op de pancreas. Helaas inmiddels overleden, maar hij heeft het 10 maanden na diagnose nog perfect volgehouden..ik heb zijn voeding aangepast precies zoals hierboven omgeschreven en met homeopatische ondersteuning ging het nog lang perfect. Het is natuurlijk niet helemaal hetzelfde wat onze hond had, maar dit stukje is echt goed! Onze d.a. wist niet wat te doen en heeft toen humane medicatie gegeven en daar was hij bijna aan onder doorgegaan. Ik heb toen bewust samen met de dierenhomeopaat de voeding aangepast , hij was al versvlees hond( dus niet de brok die de d.a. voorstelde) en de medicatie gestopt. De d.a. stond werkelijk versteld dat dit nog mogelijk was. Ik hoop dat anderen indien nodig dit stukje lezen van jou en er wat aan hebben!